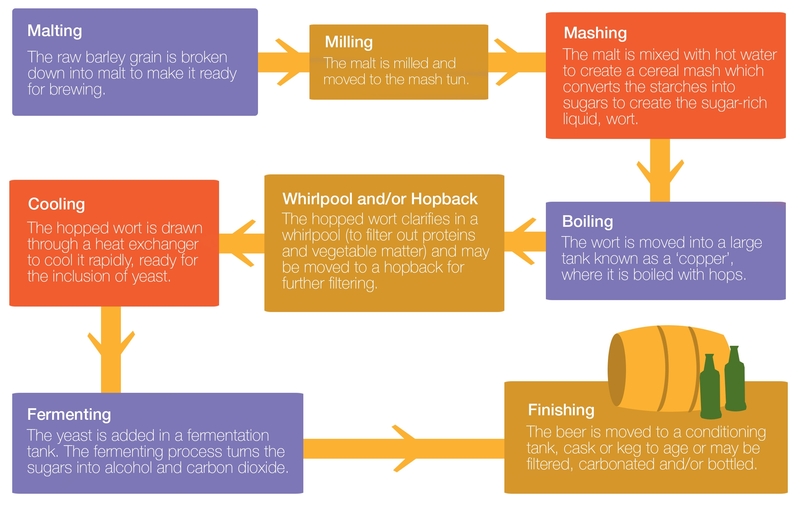 Organic deposits such as oils, fats, proteins and starches are left behind following the mashing, boiling and fermenting processes and inorganic scale such as beer stone (often caused by a chemical reaction between caustic cleaners, hard water minerals and proteins) can build up inside fermentation tanks and pipework. The tanks and kegs also become a breeding ground for bacteria and mould to thrive. A strict cleaning regime is necessary to combat any negative effects caused by these deposits and bacteria. Due to the robust nature of these soils and microbials, strong chemical cleaners are required to clean and disinfect industrial brewing equipment. The hazardous chemicals present in the cleaning solutions have the potential to cause serious injury if they come into contact with the skin or eyes and would require immediate flushing to avoid further injury. Nearby safety showers and eye/face wash equipment must be available in the event of an accidental spillage. Which Hazardous Chemicals are Used? Sodium Hydroxide (also known as Caustic Soda) and Potassium Hydroxide are often used to clean beer kegs along with the sludge left at the bottom of the brew kettle after boiling. These caustic substances cause severe skin burns and long-term damage to eyes if not flushed immediately after contact. Nitric acid & phosphoric acid, used for descaling in high concentrations can also cause eye damage along with acute acid burns in the event of a spill or splash. Most breweries also rely on ammonia refrigeration to keep beer and other supplies cold. Ammonia is a particularly dangerous chemical which is corrosive to skin causing acute freeze burns. In the event of an accidental spill it requires a specific decontamination process. Anhydrous ammonia used in refrigeration, requires safety showers to deliver a large amount of water for at least 15 minutes, at a temperature between 25C-30C. Hughes STD-TC-100KS/11K Temperature Controlled Safety Shower maintains the water within this range and can also be used to supply heated water to other emergency safety showers in the local vicinity. Contact Hughes Safety Showers to request a quote or to discuss your specific requirements. To ensure accidental spills are flushed from the skin and eyes quickly to minimise injury, emergency safety showers must be located within 10 seconds of a hazard. However, if a chemical is particularly hazardous, the safety shower and/or eye/face wash equipment should be placed immediately adjacent to the hazard. Water delivered by emergency safety showers should be tepid, between 16-38 C (60-100 F). At temperatures above 38 C (100 F) there is the added danger of scalding and increased absorption of harmful chemicals into the skin. Prolonged exposure to water below 16 C (60 F) increases the risk of thermal shock or hypothermia and prevents the casualty using the shower to decontaminate effectively for the full 15 minutes. Emergency safety equipment must be visually inspected and activated weekly along with an annual service to guarantee reliable and effective operation and conformance with European and International standards. Personnel who may be exposed to hazardous materials should be instructed on the safe and proper use of the emergency safety equipment and be advised of its location. Both the EN 15154 and the internationally recognised American National Standard, ANSI/ISEA Z358.1-2014 provide uniform minimum requirements for the performance, use, installation, testing, maintenance and training of emergency safety shower and eyewash equipment. View the ANSI summary here.